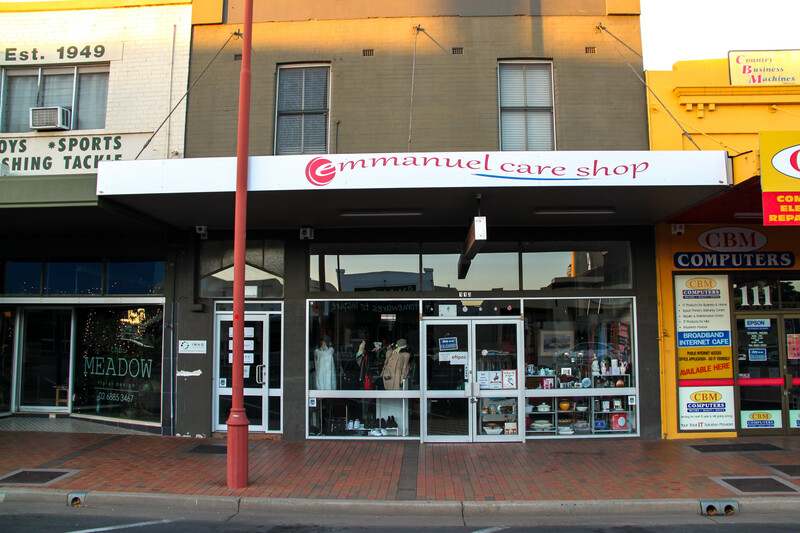 The Emmanuel Care Shop is located at 113 Talbragar Street, Dubbo, where customers can browse through an extensive range of fashionable quality clothing, bric-a-brac, books, toys, and other items, in our inviting and contemporary store. Our shop is run by friendly volunteers who eager to assist customers with finding something special for every occasion. We carry a full range of clothing for all age groups – men, women, children and babies a lots of other stock. All the goods in the store are donated from the Dubbo community. Without these donations we would not be able to assist those in the community doing it tuff.